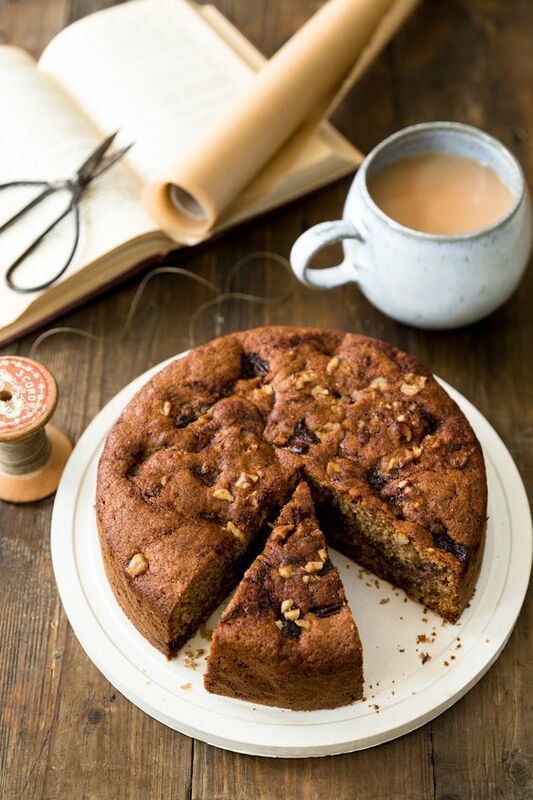 Doves Farm has shared recipes for three of the nation’s most popular cakes; deliciously moist Chocolate Cake with a rich buttercream filling, sweet and comforting Date and Walnut Cake and Lemon Drizzle Cake with a soft sponge centre and crunchy citrus topping. With organic and vegetarian options to choose from there is certain to be something for everyone. 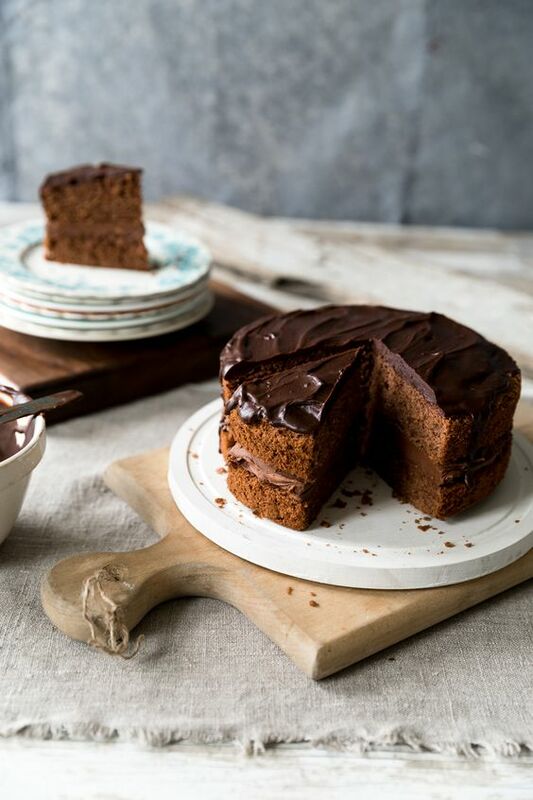 And with Doves Farm celebrating 40 years of expertise in organic flour and baking this October, you can be certain of creating only the very best bakes with Doves Farm. 1) Line two 20cm/8" round baking tins with parchment and pre-heat the oven. 2) Put the butter and caster sugar into a mixing bowl and beat together until light and fluffy. 3) Beat in one egg followed by a spoon of cocoa. 4) Beat in the second and third eggs, adding a spoon of cocoa after each one. Beat in the final egg. 5) Sieve the flour into the bowl and stir it in to he mixture. 6) Add the water and vanilla and stir to combine. 7) Divide the mixture between the prepared tins and smooth the tops. 8) Bake in a pre-heated oven for 25-30 minutes. If a cocktail stick pressed into the center of the cake comes out clean, it is cooked. 1) To make the filling, put the unsalted butter i nto a bowl and beat until it softens. 2) Sift the icing sugar into the bowl and mix until it is combined. 3) Sift the cocoa into the bowl and beat that in too. 4) Spread the filing over one cold cake layer then place the other cake layer on top. 1) Put the chocolate and unsalted butter into a bowl and gently melt them together. 2) Stir, allowing the mixture to cool, then stir in the golden syrup. 3) Slowly pour the icing over the top cake, allowing it to run down the sides a little. 1) Line a 1kg/2lb loaf tin with parchment and pre-heat the oven. 2) Sieve the flour and baking powder into a bowl, stir to combine and set aside. 4) Finely grate the lemon rind, add it to the bowl and beat it in. 5) Squeeze the lemon juice into a jug, add water if necesasry to make it up to 75ml and set this aside for the syrup. 6) Beat the eggs one at a time, into the mixing bowl ensuring each is well incorporated before adding the next. 7) Add the prepared flour to the mixing bowl followed by the milk and stir to combine. 8) Tip the mixture into the prepared loaf tini and smooth the top. 9) Bake for 40-45 mintues until cooke. Leave the cake in it's tin. 1) Put the sugar into a saucepan, pour on the reserved jug of lemon juice and bring to the boil shaking the pan accassionally. Simmer gently for 2 minutes to make a syrup. 2) Prick all over the syrface of the warm cake with a BBQ stick or skewer, pressing right through to the base of the cake. 3) Pour the syrup all over the surface of the cake and leave to cool in the tin. 1) Place a chopping board over the cold cake tin and invert it onto the baors. Remove the parchment paper. 2) Using a zester, peel some strands of zest from the lemon and set these aside. 3) Squeeze the lemon juice. 4) Measure the sugar into a bowl, add he lomon juice and stir to make the drizzle. 5) Pour the drizzle over the top of the cake and spred it around the sides of the cake with a knife. 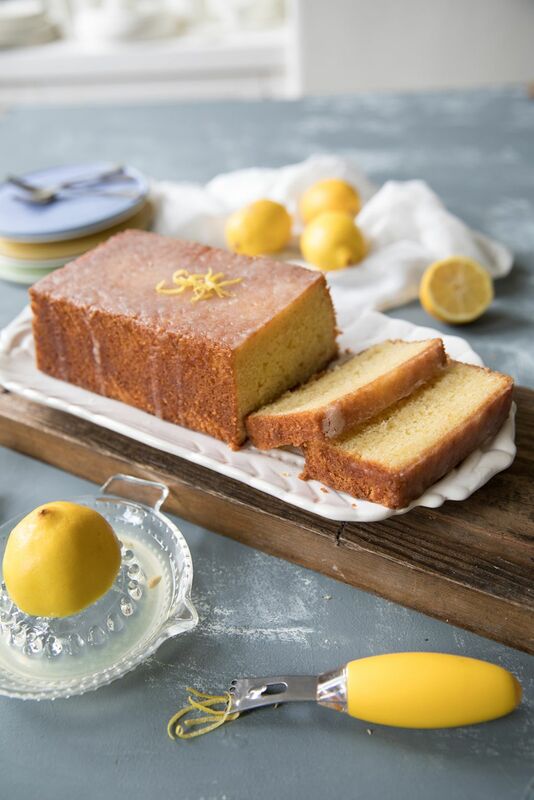 6) Scatter the prepared strands of lemon zest over the cake. 1) Line a 20cm/8" round deep, loose bottom cake tin with parchment paper and pre-heat the oven. 2) Put the dates and water into a saucepan and bring slowly to the boil. 3) Remove from the heat, stir in the bicarbonate of soda and leave to cool. 4) Break the eggs into a mixing bowl, add the sugar and beat together until light and airy. 5) Mix in the oil followed bu the self-raising flour. 6) Stir in the date mixture and walnuts. 7) Tip the mixture into your prepared cake tin and smooth the top. 9) Allow to cool in the tin for 20 minutes before turning out onto a wire rack. 10) Sieve a little icing sugar over the cold cake before serving. What do you think of these recipes? Want more healthy recipes?